First Stop of the day is Progressive Field. 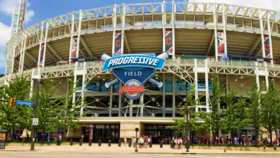 Get the behind the scenes from this guided tour at the home of the Indians. Some of the tours include the Dugout, Warning Track, Batting Cages, Fan Cave, Club Lounge, The Corner Bar, and Visitor’s Club house. The group will visit and shop at the West Side Market. Everyone’s favorite food destination. It’s one of Cleveland’s oldest and most recognized landmarks. The West Side Market houses more than 100 vendors offering an array of diverse ethnic foods. Don’t forget to bring your coolers, ice packs and grocery bags. You will need all to experience this exceptional shopping experience! Visit the oldest ethnic restaurant in Ohio City. Established in 1923, Sokolowski’s University Inn specializes in Polish and Eastern European cuisine. You can indulge in favorites such as Salisbury steak, chicken paprikash, stuffed cabbage, and, of course, their classic mouth-watering pierogi and much more. Enjoy a cafeteria style meal with desert and beverage served! After lunch we will visit Mitchell’s Ice Cream is the place to enjoy ice cream! The group will walk through their gallery space with a full view of the kitchen. While watching ice cream being made, you will enjoy one of the many flavors that are made right at the factory. Finish the day at the Cleveland Botanical Gardens. Walk the beautiful landscapes and relax in the serenity of nature.